Walking by the corner of Salsbury and Charles these days frustrates me – as does walking by my old house on Kitchener Street just one block away. 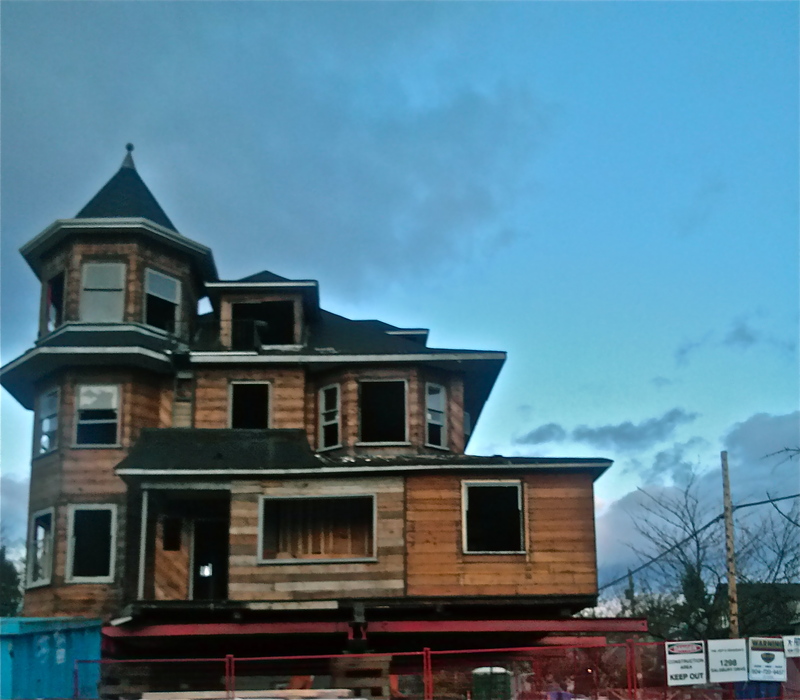 Seems like all the affordable housing is leaving East Vancouver, and although they might try to save the heritage facades (in this instance), there is no escaping the fact that a once-vibrant low rent apartment complex (which operated somewhat like a co-op) is torn to pieces. Replacement? Townhouse and condo units that cost a minimum of $700,000 to buy into. Same goes for my old duplex around the corner which is being turned into a fourplex as we speak. I’m all for densifying our neighbourhoods so we can continue to grow up and not out – but not unless we consider the affordability of such options. In the guise of being “green”, the Vision city council is steamrolling over the very communities it assures us are integral. So where is the new housing for working class people, those with marginal incomes and no option to buy? Haven’t seen the city approving many of those developments lately…. And why would developers be interested in developing below-market housing when there are such big profits to be made in the bubble? Lets’ just hope that it bursts soon – flooding the gulf growing between those who can afford the city and those who cannot. The fissures are there, in the form of $600,000 basement suites – it’s just a question of when this its all going to crack apart. ← Who’s afraid of the brave new world? I think its the same in every city.